with a rich chocolate taste and subtle taste of chai spices. There are things you pay so much for just because they give you a certain feeling. You’ll go to Starbucks or any other trendy cafe on fall and winter days just to have a little bit of that cozy feeling of having a nice hot cocoa. While there are plenty of ready-made hot chocolates, nothing compares to a good batch made according to a good recipe. 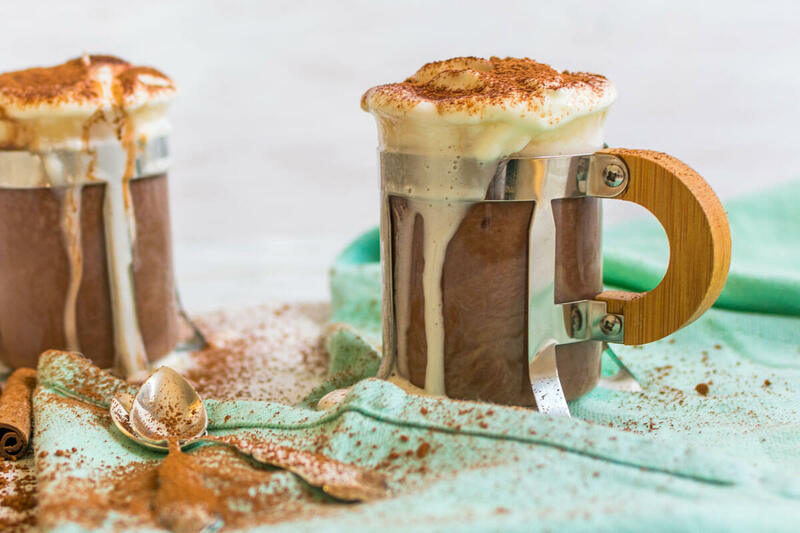 Enjoying a hot chocolate is something you can make right at the comfort of your own home. 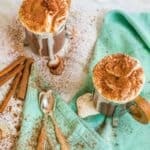 Just follow my rooibos chai hot chocolate recipe and you’ll get that same spectacular and unique hot chocolate at your home to enjoy. 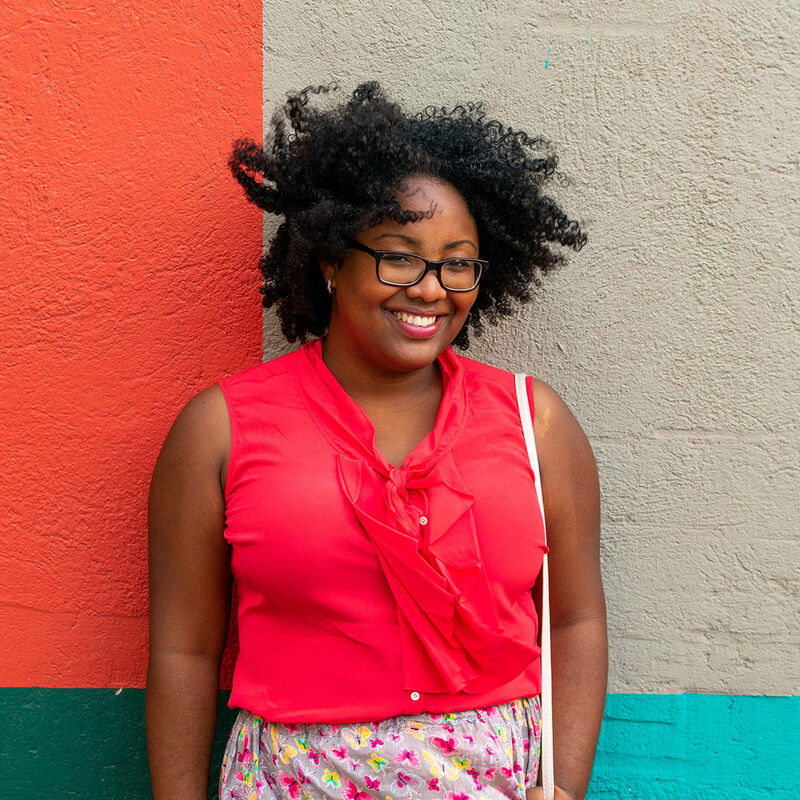 Even though I live on a tropical island and comfort often comes with a trip to the beach, I do miss the coziness of fall and winter. When the weather just creates this perfect atmosphere to curl up on the couch with a cup of hot chocolate. Especially now that I see all these sweater weather posts on my Instagram. People having comfort food. The cold. I guess the grass will always be greener on the other side right? 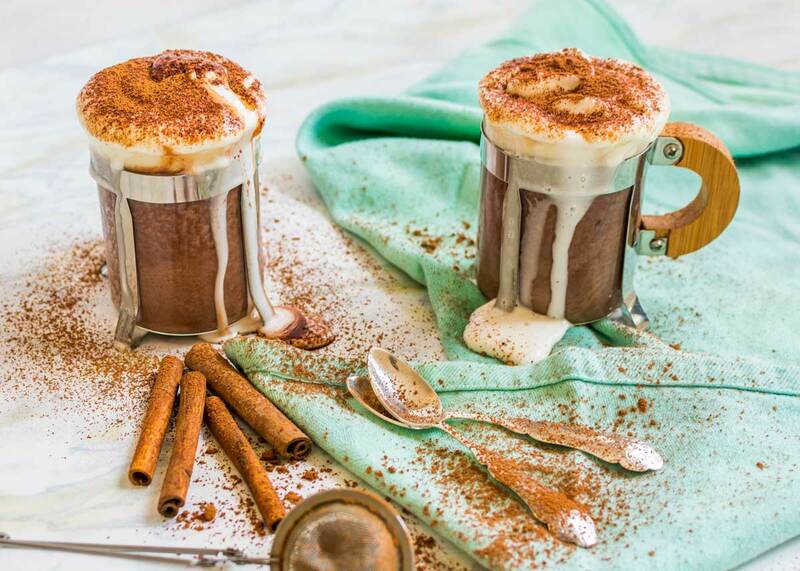 I love a classic hot chocolate recipe, but I also love dressing up my hot chocolate to something more special and unique. 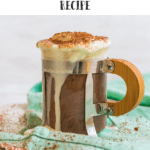 I had some rooibos chai tea laying in my pantry and it was the perfect excuse to experiment and make this rooibos chai hot chocolate recipe. I found several chai hot chocolate recipes on Pinterest, but I still wanted something that was even more special and unique. That has a certain tartness or bitterness to it. So, that’s how the rooibos chai hot chocolate recipe came to light. It’s so delicious that I just can’t talk highly enough of this hot chocolate. The aromatic flavorful of the chai and the extra humph that the rooibos creates is just perfection. It’s super nice to combine with some s’ mores on a typical fall or winter night. Can you imagine snow and this hot chocolate? 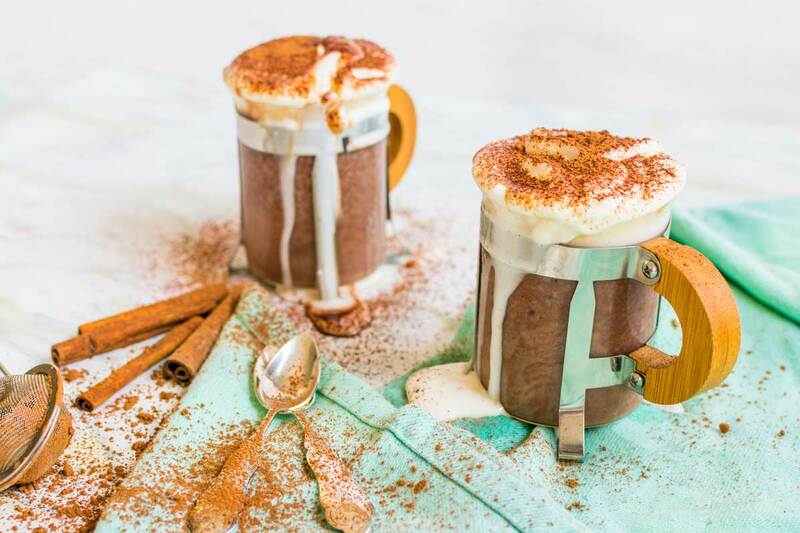 The best homemade rooibos chai hot chocolate recipe with a rich chocolate taste and subtle taste of chai spices. Bring the water to a simmer and add the tea bags to rooibos chai. Let it simmer for about 5 minutes more on medium heat and stir afterward. Whisk the cocoa powder in till no lumps remain. Add the whole milk and stir again. Add the chocolate chips and sugar and stir until they all dissolve. Strain the hot chocolate through a fine mesh strainer into another pan. 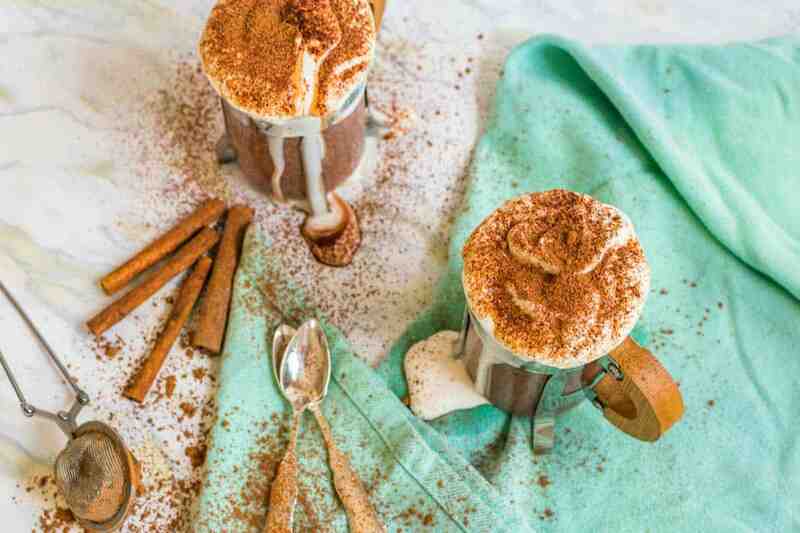 Serve the rooibos chai hot chocolate with whipped cream and sieve cocoa powder on top.